We're loving the nail art by Manicurious @ 41 Beach Road, Singapore 189680. Edgy style that compliments our Wire Wrapped Collection launched this month. Available in Manicurious now. 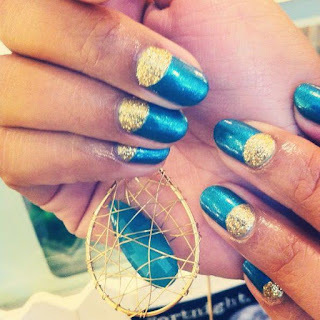 Request for a DUSK gold + Turqoise half moon nail art and match the corgeous colours to your outfit today!